Reader Xavier draw our attention to an older but still relevant article explaining why book reviews are crucial to an author's success. One reason authors may find it such a struggle to get reviews is because readers may not realize how important they actually are. It has been rumored that the number of reviews on Amazon impacts a book’s rankings and visibility, making it easier for readers to find when they search for a book. We have not been able to confirm that. However, we do know that the number of reviews does affect the visibility during a promotion, as Amazon has a Top Rated section for each category. We believe that books on the bestseller’s list that have a lot of good reviews land on this additional classification. Reviews are also good marketing tools. Quotes from reviews make great ad copy, tweets, and posts on social media. Another vital benefit of book reviews has since been discovered by best selling indie author Nick Cole. He and his co-author Jason Anspach have found that a book must have 35 Amazon reviews on launch day and 100 reviews within the first week after launch to hit #1 in its category. He explains more of his best seller-making method on this classic episode of Geek Gab: On the Books. As an author who knows the importance of reviews, I've made it a guiding principle to write a review of every book I read. Leaving a public review on Amazon may seem daunting, but it doesn't have to be. Just give your main thoughts on the book in a sentence or two. It's that simple! I always read and appreciate my readers' reviews. Why not add your own to help others make informed reading decisions? Leave a review of a Soul Cycle book here. Already reviewed every installment in the Soul Cycle? Review The Hymn of the Pearl here. Already reviewed all of my books? Great! But you're not off the hook. Pick a deserving author whose book you've read. Now get out there and review it! Following Dragon Con's reversal of their initial policy not to allow authors to withdraw from the Dragon Awards ballot, an SF SJW demonstrates the futility of DC's attempt at appeasement. If any Dragon Con organizers are reading this, please read Greg's words closely. Remember: this comment was posted after the award administrators caved to SJW pressure and allowed authors to dictate a ballot that was supposed to be decided by fans. How do SF SJWs thank Dragon Con for giving them what they want? By calling the award fake and accusing the organizers of being in league with white supremacists. 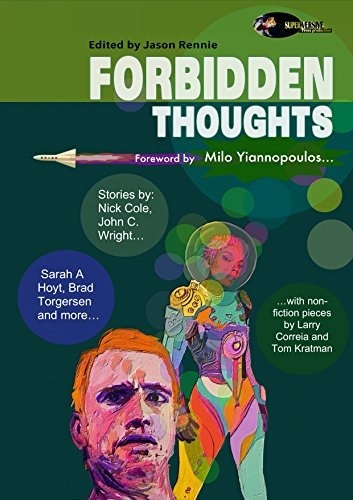 If you learn nothing else form this debacle, take this lesson to heart: the social justice warriors who destroyed the once venerable Hugo Awards care nothing for the readers who nominate their favorite works or for science fiction in general. Their sole concern is advancing a radical political agenda to the detriment of every field they infest. Look at the current state of comics, movies, and role-playing games for just a few prominent examples. SJWs don't care about quality. They don't care about diversity. They don't care about fun. They care about power. Giving in to their demands only grants them power over the targeted organization. And in return, they will complain more loudly, hurl more vicious insults, and make ever more lavish demands. They are not rational and cannot be negotiated with. The only effective response to SJW demands is a firm "no", repeated as often as necessary. And you must steel yourself to repeat it often. The opposition is relentless. Greg is right in one regard. The Dragon Awards risk losing their intended meaning in only their second year. To salvage their integrity, the organizers are well advised to institute a new withdrawal policy, effective next year, stating that any author may withdraw from the ballot, but in so doing he incurs an automatic five-year disqualification from any of his works appearing on future Dragon Award ballots. It's a stringent measure, but it will assure the fans that their votes won't be arbitrarily nullified on an author's petulant whim. Eric Flint also had the right idea. The best way to ensure that no one group can dominate the Dragon Awards is to increase the voter base. On the chance that registration is still open, here is the link to request a free ballot. 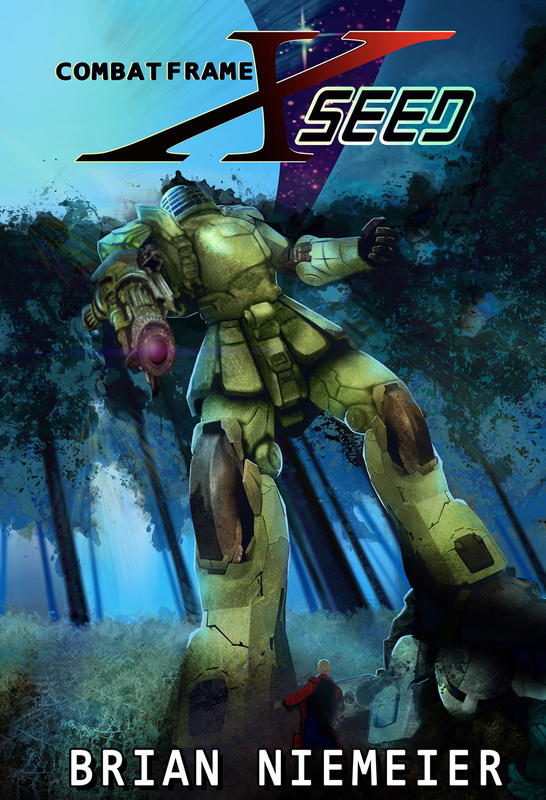 Also, today is the last day that my Dragon Award-nominated space opera THE SECRET KINGS will be available for free in the Kindle Store. Download your copy now! Author David J. West, a.k.a. 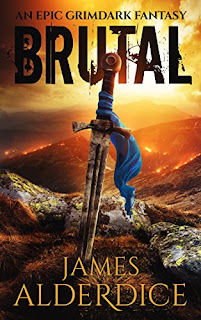 James Alderdice joined Daddy Warpig, Dorrinal, and myself on Geek Gab to discuss his new book BRUTAL and share his Amazon marketing secrets. Heads up! Today may or may not be the last day to register for the Dragon Awards. Don't take chances. Request your free ballot now! I want my Dragon Award-nominated book to be the most read finalist in the Best Science Fiction Novel category. To that end, I'm giving away THE SECRET KINGS for free. This mind-bending space opera does everything that Tor Books refuses to do, like giving readers a wild, thrilling ride without ever getting preachy. This limited offer is only available today and tomorrow, so get your free copy of the year's best sci-fi novel now! A lot of aspiring authors ask me how they can beat the odds and find success as professional writers. One piece of advice I always give is to know your reason for writing. Do you have one big story that you're driven to get off your chest and onto the page, even if it means writing a full novel and letting it gather dust in a shoe box in your closet? That's fine. Lots of people have trunk novels written for their eyes only. If you're writing a book just to scratch it off your bucket list, more power to you. Get writing! Are you seeking personal validation? Have unrealistic portrayals of authors in movies, high school lit classes, and on TV convinced you that the only way to be a "real writer" is to get a Big Book Deal™ from one of the Big Five New York publishing houses? You'd better be able to check off the right diversity boxes, or else get used to rejection. Do you want to earn a full-time income from your writing and quit your day job? Are you prepared not just to write, but to market your work? Then it's time to learn your craft, get writing, and embrace the reality that you should only seek approval from one group of people: your readers. If you want a pat on the head from editorial interns majoring in gender studies, you can afford to buy your own hype. But if you want to make a living as an author, you need to swallow your pride and give your readers what they want. The same goes for awards. I've learned from other authors and personal experience that award nominations and wins don't make careers anymore, if they ever did. Not only will winning a Hugo or a Nebula not help your career, it's now a strike against you. The Dragon Awards are the only exception. Because the Dragon is a pure people's choice award with zero barrier to entry, it's an honest sign of fan appreciation. Last year, the gatekeepers of legacy science fiction insulted my readers by closing ranks to vote me below No Award at the Hugos. Besides placing me in the august company of Dr. Jerry Pournelle, Worldcon gave my readers cause to mobilize. As a result, Souldancer took home the first-ever Best Horror Novel Dragon Award, and was the first indie novel to win a Dragon--a spectacular win for you, the fans. I remain deeply grateful that so many readers turned out to show their appreciation for my work, because it shows that people are having fun reading my books. That's what keeps me in business. Once again, thank you! Honestly, I hadn't planned to campaign for a Dragon Award this year. 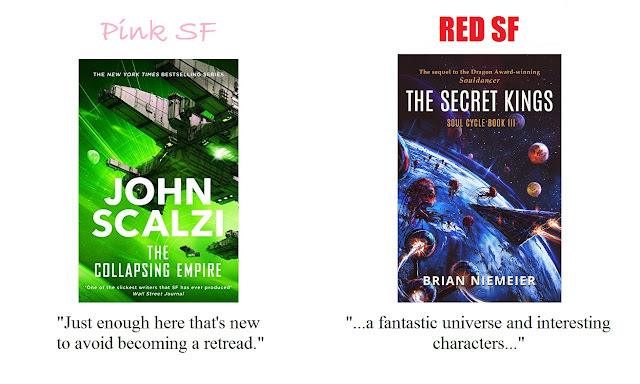 But then I found out that John Scalzi was up for Best Science Fiction Novel against my book The Secret Kings. 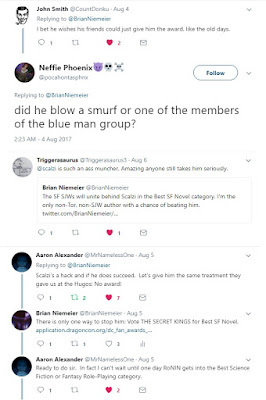 Scalzi is emblematic of the rot that destroyed the Hugo Awards. So far he's won four Hugos in twelve years, which is how many Robert Heinlein won in over four decades. If you think a guy who writes Star Trek fanfic is a better author than the Dean of Science Fiction, I've got a bridge to sell you. I decided to have some fun with Scalzi, using materials he'd previously posted online by his own volition. His epic freakout in response told me one thing: he and the CHORFs who ran the Hugos into the ground and are seeking the same fate for the Dragons are terrified of you guys. 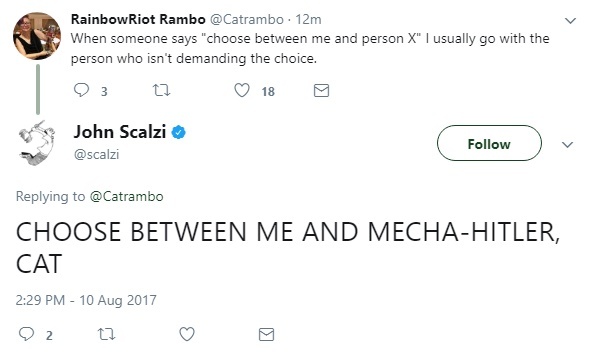 They saw what you did last year, and even though Scalzi is a name author with a multimillion dollar contract, they're afraid you'll beat him. MANY of you contacted me personally stating a desire to do just that. 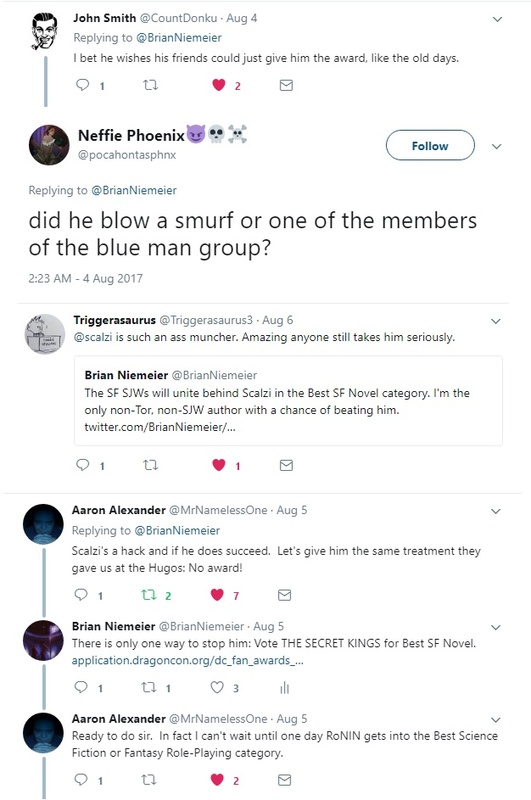 You've unequivocally stated that you want me to beat Scalzi, so that's what we're going to do--not just because he's a favorite of the clique that insulted you; not just because he fed the withdrawal debacle that's already cost Dragon Con some credibility (authors shouldn't get to dictate what's on the ballot of a readers' choice award), and not even because his loss will seriously demoralize the CHORFs; perhaps enough to make them back off until the Dragons' voter base grows sufficiently to keep any one group from dominating. It's simple. In my book, the readers get what they want. And as always, I'm here to help you. First, we've got the best book. Souldancer won a Dragon last year, and the overwhelming reader consensus is that The Secret Kings is even better. Get it. Read it. Tell your friends. And just as importantly, vote The Secret Kings for Best Science Fiction Novel in this year's Dragon Awards. It's totally free, but registration closes on Monday, August 28th, and voting ends on the 29th, so request your ballot now! 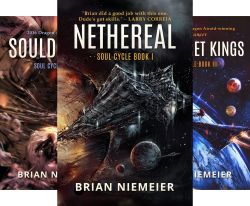 For those who haven't read either of the first two Soul Cycle books yet, you can get all three books in this award-winning series for less than ten bucks. That's less than the Big Five charge for most of their individual eBooks. Again, this isn't about collecting trophies for me. I won't be taking home SK's award anyway, because my lovely and talented editor L. Jagi Lamplighter Wright will be accepting--and keeping--the Dragon. The Secret Kings simply wouldn't be as good as it is without her. The Dragon Awards offer fans a platform to voice their preferences free of interference from the old, dying fandom found at places like Tor. A win for The Secret Kings will give the Dragons room to grow in size and prestige so that politically motivated groups can't exert undue influence. Thanks again to all of SK's supporters, especially my fellow authors like Jon Del Arroz, Nick Cole, John C. Wright, Russell Newquist, and Jonathan Moeller. Thanks also to critics and readers like Alfred Genesson and Jeffro Johnson, and all of my readers. Let's get out there and win! Where else can you get this much entertainment for free? I recently [read] Cole's article you linked to and I was wondering if you could help me with something. I mean I've been working on a world for awhile now, and I'm uncertain about the first steps I should take about it. Basically, I keep going between deciding if I should do short stories first, or putting together a novel instead. And I believe the world can do both. Frankly, I'm sure I could list off several of the obstacles from that article to blame for my issues, but I'd like to know your experience in how you direct where a world takes you, and how you go about finding a concrete path once you have a grasp of where it is you want to go? 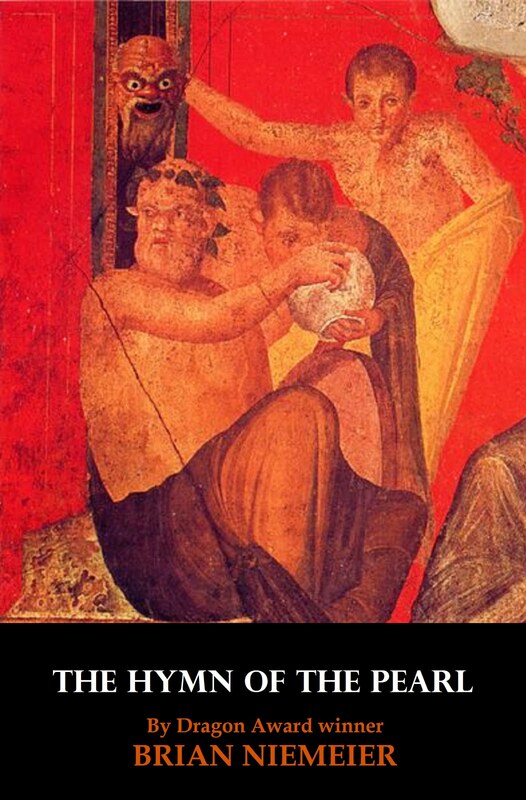 First, a caveat. My writing processes differs from this reader's in terms of our respective starting points. I don't start with world building. I start with a story I want to tell. Then I ask myself what a setting where such events take place would have to be like in order for the story to make sense. That said, my reader is not alone. A lot of aspiring authors get caught up in endless world building spirals. The way out is to realize that world building and storytelling are two different processes. If you're asking whether your world is developed enough to write a story set in it, then it's time to write the story. Regarding the "how do you find a concrete path?" question, I'm an outliner. Once I have a general idea for a story, I draw up a fairly detailed outline listing all of the major turns, pinches, plot twists, character goals, etc. That's my road map for writing the story. You might not be an outliner. Discovery/organic writers just sit down and write whatever comes to mind. The only way to tell which type of writer you are is to experiment with both methods. 1) Are you more interested in writing a short story or a novel? Although it should be said that there are those who are working to resurrect the moribund short fiction market. Personally, I'm more of a novelist than a short story writer. Three of my novels are currently on sale for less than $9 altogether. One of those three is a finalist for this year's Best Science Fiction Novel Dragon Award. 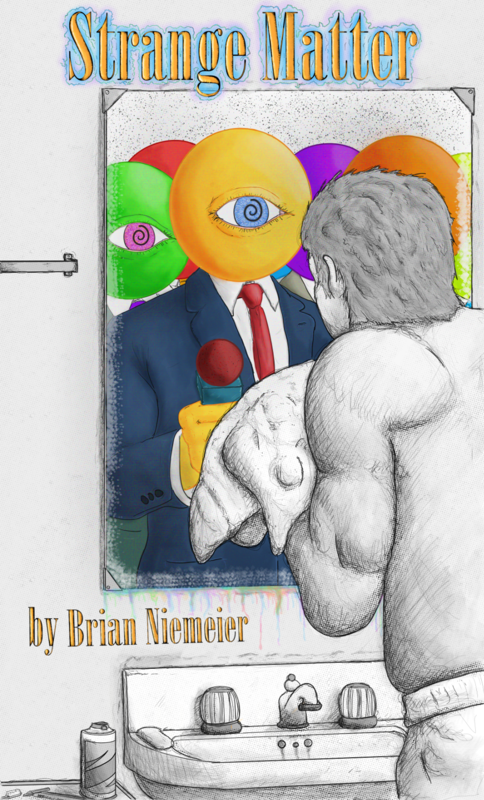 It's also available for free through Kindle Unlimited. Voting closes soon. Don't forget to request your free Dragon Award ballot! Short stories built science fiction into a cultural force to be reckoned with and launched the careers of countless stellar authors. Yet the short fiction market has seen a steep decline in the past few decades. Is the short story dead? Your humble Geek Gab hosts recently spoke with Castalia House blogger Vlad James about the state of sci-fi short fiction. Why was it significant, and who are some of the brave souls striving to bring it back? Bonus: we also chat about E.T. And don't forget to vote in the Dragon Awards. My nominated SF novel The Secret Kings is free on KU, and the whole series is less than 9 bucks right now. The Dragon Awards saga continues taking unexpected twists and turns as Dragon Con first refuses; then allows, authors to withdraw from the ballot. Anybody that has ever run a lot of old school D&D should immediately be able to see why this was a boneheaded move. Make a call like this in the heat of the game and all of a sudden you find out that the players have a reason why everything in the game could maybe be ruled differently. It’s way easier to just let the game be what it is and then leave it to the players to figure out how to deal with that. But you do see the kicker there, don’t you? If you give this request your blessing, then you have basically agreed that Allison Littlewood was put on the ballot unfairly. Gosh, if that’s the case… then maybe there are other people on the ballot that ought not to be there. Hell, you maybe even gave out awards last year to people that didn’t come by them honestly! Seriously, did anyone running this thing give any thought to the implications of what they were doing here? Not only was the administrators' rationale for allowing Littlewood's withdrawal shortsighted, it flew in the face of the original spirit of the competition as related to me by a friend of the awards' main organizer. The folks running the Dragon Awards originally wanted authors to rally their readers behind them and for readers to promote their favorite books. Contra Ms. Littlewood's complaint, her book was not placed on the ballot as part of a slate. 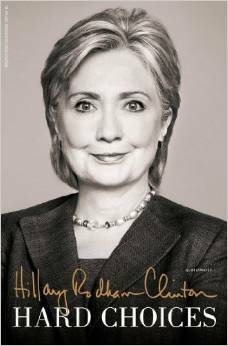 It was recommended by a reader who liked the book, albeit a reader with whose politics she apparently disagrees. Giving in to demands of this nature is a very "conservative" play, by which I mean it loses nobly and accomplishes nothing. To their credit, they are going to reissue ballots for those whose votes are affected by these. Here's DragonCon's official statement. It shows a fundamental preference shift from the from the fans to the talent. By caving once, the administrators have gravely compromised their resilience against future politically motivated demands. They also set the potentially fatal and self-contradictory precedent that any group of fans campaigning together risk fraud accusations simply for engaging in voting practices that are intrinsic to any democratic process. Alfred Genesson has the right of it. Withdrawing from a democratically selected awards ballot in the name of ideological purity shows contempt for the voters and the process itself. Fans are now denied the chance to express their appreciation for a book they enjoyed, and the award organizers must scramble to issue revised ballots--which they will now have only one day to count. I concur with Genesson and others who have made the same proposal. Allow withdrawals from the Dragon Awards ballot, but with the caveat that any author who withdraws is permanently ineligible to appear on any Dragon ballot thereafter. John Scalzi has pulled the same stunt two years in a row, but has now withdrawn his withdrawal. 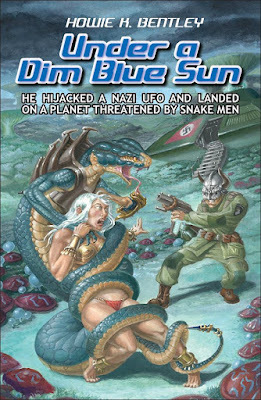 Since the Dragon Con organizers will not condemn this insulting behavior, the only remedy left is to defeat him in the Best Science Fiction Novel category. If Scalzi can show such blatant contempt for the fans and still win an award, the Dragons' integrity will suffer severe and likely permanent damage. The Secret Kings, my highly praised space opera novel, is the only viable competitor against Scalzi's Collapsing Empire. How do we know this? Because Scalzi and his clique have already invoked Godwin's Law in a desperate attempt to smear me. I've made the choice significantly easier for readers, since I'm offering my entire award-winning series at a lower price than Scalzi's failed Asimov pastiche. My whole series still costs less than Scalzi's remaindered book. Request your free Dragon Award ballot! Evidence continues mounting that indie authors publishing with Amazon have sent the Big Five traditional publishers into a death spiral. An inexorable reality of today’s commercial book publishing world is that it is shrinking. Although there have been no obvious signs yet that actual long-form book reading itself has declined (even though that would seem a likely consequence over time of the changed ways we get our reading inputs), the self-publishing and indie segment of the market keeps growing at the expense of the legacy commercial business. Although it would take data I don’t have to prove this, it certainly appears anecdotally that the big houses are cutting back their investment in midlist titles, perhaps actually cutting future title count (which, over the years, has been an often-espoused but seldom-pursued strategy) but also offering smaller advances for all but the very top books. Sales seem to be drifting away from the established publishers as their title outputs shrink or remain static and are shifting to Amazon’s own titles and indies, which is where the title base is expanding. Translation: legacy publishers are losing market share to indies, thanks to tradpub's failure to compete with Amazon. And the big trad publishers are trying to shore up their revenue hemorrhage by slashing the midlist and jacking up the A list's already bloated advances. You don't need any further evidence to prove that the people in charge of big New York publishing are equally stupid and out of touch. On average, each midlist book has a 50/50 chance of earning out its advance. By way of contrast, it's an open secret in the publishing world that big name authors almost never earn out their seven-figure advances. In short, legacy publishers are cannibalizing their profitable midlists to sign more rock star authors whose advances are subsidized by that same shrinking midlist. Tradpub is like an alcoholic who's gotten so desperate he's drinking turpentine. Big publishers aren't the only ones who are circling the drain. The nation's last big brick and mortar book retailer is also on death watch. Meanwhile, the whole legacy industry worries about the future for Barnes & Noble. Last week a significant Barnes & Noble shareholder called publicly for the chain to offer itself for sale, apparently calculating that new (and perhaps “private”) ownership would see paths to profits that aren’t being followed right now. This follows continuing evidence that B&N’s overall sales track the legacy business, and are therefore declining. Amazon, of course, is not just the principal creator and beneficiary of the new competitors, primarily independent authors. They are also moving from being an online-only retailer to competing in B&N’s milieu: physical locations offering books. The big traditional publishers are wholly dependent upon their paper distribution monopoly. When Barnes & Noble goes, they'll go down with it. Amazon is now beating B&N at that same game. Amazon’s supply chain, built on a scale that the book business alone could never support, is now the gold standard. It will enable them to continue rolling out smaller stores, which is the kind of outlet that can succeed in today’s book marketplace. The stark fact today is that more than half the sales are online (and despite BN.com and the increased frequency of online book peddling from authors and various vertical organizations enabled by Ingram’s Aer.io and its competitors, almost all of those go to Amazon). Big in-store inventories have become a pointless anachronism. It is cheap sport to ridicule Barnes & Noble’s performance in the Internet age. They’ve made many of the standard incumbent mistakes in the face of upstart competition. They dealt themselves out of the online business by not pursuing either of the two most likely paths to success. They should either have made their dot com a stand-alone business, with pricing and growth aspirations beyond books that competed with Amazon, or they should have tightly integrated the online and store offerings to produce a hybrid that had its own appeal. They did neither. The Big Five and B&N have no one but themselves to blame for their impending demise. Like the music and news industries before them, they allowed themselves to be disrupted by arrogantly refusing to change as changing market conditions demanded. B&N could have been more accommodating to indie authors. Legacy publishers could have worked with Amazon instead of fighting them by pricing eBooks competitively and offering authors something close to a reasonable royalty rate. Instead the Big Five pressured Amazon to restore agency pricing to protect their paper distribution channels. Meanwhile, they slashed midlist advances and threw huge advances at wasteful would-be blockbusters. I've heard that the standard tradpub advance for new midlist authors has fallen as low as $2500. Who in his right mind will sign away all rights to his book forever in exchange for such a pittance--especially when there's even odds he won't earn out, or his contract will be cancelled next quarter? Before, there remained a narrow set of circumstances in which publishing with the Big Five might have made sense. Now it's not even a choice anymore. Traditional publishing is dead. The future is indie. Get my acclaimed Soul Cycle--including 2017 Dragon Award finalist The Secret Kings for less than 9 bucks! Don't forget to request your free Dragon Award ballot! Perhaps you've been following the drama surrounding this year's Dragon Awards from the start, or you just found out about the Dragons today. In either case make sure to join me for the inside scoop on why the Dragon Awards are vital to the renewal of science fiction and what the Hugo clique's recent foray into--and hasty retreat from--the Dragons means in light of larger cultural trends. Geek Gab: On the Books, live at 4:00 PM Eastern! And of course, don't forget to register for a free Dragon Awards ballot. 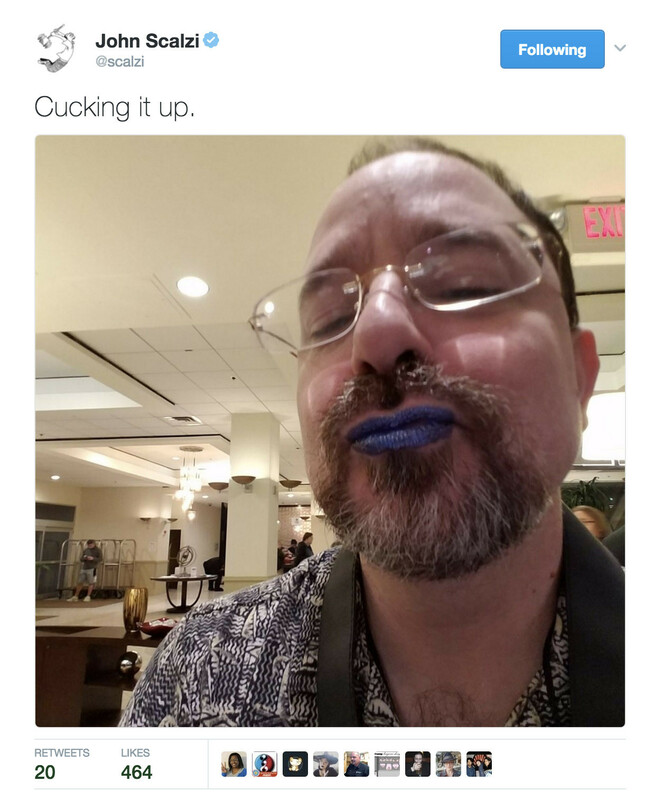 Having fled the Dragon Awards after my readers and I crushed his SJW cheerleaders' Narrative, midlist author John Scalzi returned to his fortified Twitter bubble to dispense some career advice. The real lesson for authors here isn't to be gleaned from Scalzi's butthurt words. It's in the attitude he displays toward readers, other authors, and the science fiction field as a whole. Scalzi's tweetstorm drips with the analog mindset that's already killed Tor Books and all the Big Five publishers (they're just not broke--yet). His biases were formed in the bygone day when authors had to kiss up to New York editors and impress an incestuous pack of CHORF bloggers to build and sustain their careers. It's understandable that these dinosaurs are slow to accept the new truth of publishing. I don't need to impress editorial interns whose only qualifications are Gender Studies degrees. The petty crab bucket of the "SFF" trufandom Scalzi's talking about is wholly irrelevant to me. Today, most successful authors build relationships with fans on social media. They learn how to make Amazon's algorithm bring new readers to them. A surprising number of them--far more than in tradpub--are quietly pulling down six or seven figures per year; all without the approval or knowledge of the old gatekeepers. Nothing bad happens when you stand up to SJWs. Sure, they love to threaten dire recriminations, but if this is the kind of "career damage" they mean, sign me up! Oh, and Scalzi: consider getting BTFO'd from the Dragons retroactive comeuppance for calling my readers "assholes". I'll be voting for the Secret Kings because it's great fiction. If you want philosophical/metaphysical depth it's up there with Frank Herbert or Greg Bear. The SF SJWs have responded to The Secret Kings' nomination for this year's Best Science Fiction Novel Dragon Award with a familiar Narrative. SJWs always double down. Last year, they tried to DISQUALIFY Souldancer's Dragon win after the fact based on its number of Amazon reviews. Now they're trying to preemptively undermine The Secret Kings, only SK has more than twice as many Amazon reviews as SD did when it won, so they've resorted to the even more arbitrary measure of Goodreads ratings. They're also whining about how uncouth it is that I'm calling attention to John Scalzi's self-described and very public cuckery. The CHORFs should get used to disappointment, because unlike some genteel conservative, I recognize that Marquess of Queensberry rules are off the table. This is a street fight. Chicago rules are in effect, and I'm fighting to win. 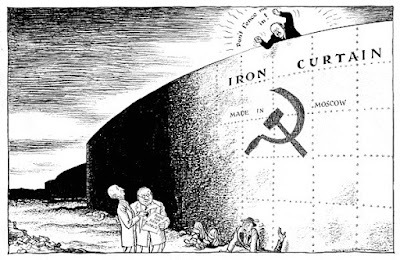 The CHORFs have done us a favor, though. Because they always project, they can't help telling us how to beat them. Glyer is clearly upset that I devoted half of my previous post to attacking Scalzi. I'll rectify that error by turning over the majority of this post to mocking Tor's golden boy. You can be sure that pressing the attack is the right move, because contra Glyer's finger-wagging, there's a rich vein of popular disgust for Scalzi that I've only begun tapping into. Here a just a few of the responses I got when I posted this pic--WARNING! don protective eyewear to shield your T levels! Answer: register for a free 2017 Dragon Award ballot and vote The Secret Kings for Best SF Novel. But we're not all about negativity. I have the dual advantage of a loathsome opponent and an objectively superior book. The same SJWs who ruined the Hugos now have their sights set on the Dragon Awards. Winning even one category will be a huge morale boost for them. On the other hand, getting completely shut out will leave them devastated. Mike Glyer is right about one thing. I'm not in this fight to chase awards for their own sake. Genre fiction, movies, comics, and gaming have been decimated by a cultural war waged by totalitarian social justice warriors. The SJWs know that I will oppose them, unflinchingly, on the terms they've set. That's why they shadowbanned me on Twitter, colluded to snub my readers by voting me below No Award in last year's Hugos, and are swarming to attack me now. That's fine. They tried it last year, and their mean girl tactics helped push Souldancer to victory. The CHORFs gave me some advice, so I'll return the favor. If you want to win, stop your catty narrative-building. Fight clean and stop insulting my readers, or this time it won't just be my people rushing to smack you down. Of course, the SF SJWs won't take my advice. They can't. But I can beat them. I'm the only non-SJW, non-Tor author on the Best SF Novel ballot who has a proven track record of punching above his weight enough to bloody the CHORFs' noses. Don't get me wrong. Richard Paolinelli and Brian Guthrie are fine authors and great guys. But going up against the SJW hate mob can be daunting, especially if you've never faced it before. And it's not either of them who are being singled out for a two minutes' hate by leading CHORF blogs and their mainstream media collaborators. Cixin Liu is a favorite in some quarters. I loved Three Body Problem, and Liu is a superb writer. We need to face facts, though. Liu is a Tor author, and they're going to throw their support behind Scalzi. The Verge hatchet job using the cover of The Collapsing Empire for its header image is a major tip-off. Plus, let's not forget the fact that Liu thanked the Rabid Puppies who made his Hugo win possible by publicly insulting them. The situation is clear: the race for Best Science Fiction Novel at this year's Dragon Awards comes down to me vs. Scalzi. The CHORFs have already broadcast that this is the scenario they most fear. With your help, The Secret Kings will beat secret king John Scalzi for Best SF Novel. As I've always said, I'm not out to collect a shelf full of awards. Therefore, my lovely and talented editor L. Jagi Lamplighter Wright will take home Secret Kings' Dragon Award. The book wouldn't be as good as it is without her, and she richly deserves recognition. Another advantage I just remembered: my entire series costs less than Scalzi's single eBook. Get The Secret Kings for free through Kindle Unlimited. Register for a free Dragon Award ballot and vote SK for Best Sci-Fi Novel! The other day I announced The Collapsing Empire was a finalist for the Dragon Award in the Best Science Fiction novel category, which was neat. Today, I notified the Dragon Award administrators and let them know I was withdrawing The Collapsing Empire from consideration for the award. SECOND UPDATE: It looks like the Dragon Con administrators aren't letting nominees withdraw from the Dragon Awards ballot. Welcome to Thunderdome! The final ballot for the 2017 Dragon Awards has been released! 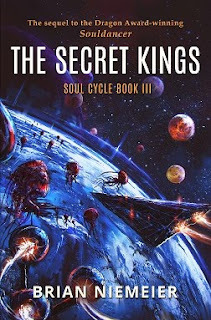 I'm honored to announce that my highly praised space opera novel The Secret Kings has been nominated for Best Science Fiction Novel. Because the Dragon Awards do not yet have a Best Editor category, I promised to share the honor with my amazing editor L. Jagi Lamplighter were SK to win a nomination. Now that you, the readers, have voiced your will, I give the well-earned credit to Jagi. In all honesty, Jagi is a major reason why my Soul Cycle books have consistently punched above their weight in the cutthroat world of genre publishing. Therefore I'm going one step further and declaring that, should The Secret Kings win the 2017 Dragon Award for Best Science Fiction Novel, I will gladly cede the award to Jagi. She earned it on last year's Best Horror Novel Souldancer, and she's definitely earned it here. Congratulations are also due since Rachel and the Many Splendored Dreamland, which Jagi authored, has received a Best YA Novel nomination. Many readers are torn over whether to vote for Jagi or her illustrious husband John C. Wright, who is also nominated in the same category. Hopefully, these voters will consider The Secret Kings as a way to resolve their dilemma. Sincere thanks for your support! I also extend hearty congratulations to all of this year's nominees. There are some intriguing names on that list, including--but not limited to--Jon Del Arroz, Vox Day, Kai Wai Cheah, Daniel Humphreys, and Declan Finn. After getting blown out last year, the SF SJWs who beclowned the Hugo Awards have bestirred themselves in an effort to converge the Dragons. 2016 showed them that they need to bring their A game. 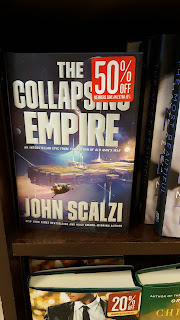 Unfortunately for them, the best they could muster turned out to be Scalzi. This is the Tor author whose "blockbuster novel" was getting outsold so badly by a hastily written parody that an SJW at Amazon had to intervene to stop the CogDis. The CHORFs think they have a ringer in Scalzi. After all, he's got a rep for racking up award wins. Unlike me, he's historically done it through logrolling in tradpub-dominated contests where a small clique composed of his Tor benefactors run the table. Not so with the Dragons. Look at that list again. There are some prominent tradpub names, but the ballot is brimming with indies, including heavy hitters like B.V. Larson, David Van Dyke, and Richard Fox. If you want an accurate cross-section of the current state of the industry, you could do much worse than the 2017 Dragon ballot. It's thanks to dedicated readers like you that we made it so far in such a relatively short time. But we can't rest on our laurels. The Dragons are an open contest, and that openness brings with it the risk of dirty tricks--like the CHORFs pulled when they shelled out tens of thousands of dollars to stuff the ballot box at the Hugos under the guise of "scholarships". That's why we have to stay focused and present a united front to keep the entryists from gaining a foothold. As indies, our greatest advantage is also our greatest drawback. It's nigh impossible to get a small group of us to agree on pizza toppings, never mind which books to support. But the SF SJWs are a fun-destroying monolith, and they've declared their intention to overrun the Dragon Awards. We who prize fun science fiction over nagging civics lectures must hang together or hang separately. Happily, the relative quality of the nominated works makes our job easy. I also have advantages as an indie that simply aren't available to tradpub authors mired in the analog mindset. That's how I beat a number of trad authors to become the first indie Dragon winner last year, and that's what gives me an edge over Scalzi now. But as always, Jagi and I can't win without your help! Get The Secret Kings--now free through Kindle Unlimited here! Register to receive your free 2017 Dragon Award ballot here! Brian Niemeier sure knows how to start a story off with a bang. The third installment of his Soul Cycle trilogy (as of now) brings back one of Book I's best characters: Teg Cross! And he's as badass as ever. What begins as a mission for survivors of the galaxy-shattering cataclysm turns into a battle against the forces of the Void intent on remaking the world in its image. If you watched Star Wars and thought, "Not enough magic or monsters"; if you're into horror and ask yourself, "Where are the spaceships? "; and or you're into Dune and keep wondering "Where are all the good books? ", then the Soul Cycle series is right in your wheelhouse. Teg isn't the only returning character from the first book here, and allies and enemies from Book II also feature prominently. And of course, new friends and foes appear and make their impact felt. To say anymore would spoil things, but just let's say that the interaction between these disparate personalities is great. 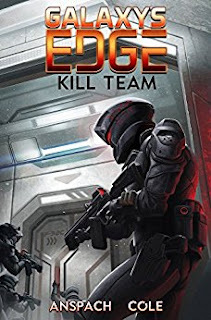 It also helps that Brian can write, keeping the action fast-paced, keeping the danger right at the protagonists' heels, and giving few respites from the (almost exhausting) breakneck pace. Oh, and we get to see more cool planets. Alex follows up with his breakdown of what makes SK work, starting with the relationships between the book's characters. These interactions feel natural, and friendships and friction created when they all meet is completely in-character; nothing seems out of place. Brian gives the sense that, were these characters real and sitting in a room together, this is how they would act. The newcomers, like Izlaril, Lykaon, Gein, Anris, the Anomians, and Celwen are welcome additions to the cast. And the conflict! Not always armed hostility, but even the good guys don't always get along. In screenwriting, there's a principle that also applies to novels, that every scene needs conflict, or at least a goal. You can broadly call this a reason for existing: Does it further the story? Does it reveal something about a character? Could you cut it out and lose nothing of the story? This is where I think Brian excels. When I wrote in my Souldancer review that his writing was "economical," this is what I mean: No wasted words, no overly florid language, and each scene has a point. This tension among the characters helps lend every scene both heft and a purpose. There's more entertaining and enriching analysis here. Of course, I highly recommend reading the whole review. All told, The Secret Kings is a triumph. 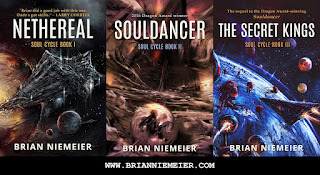 Read the Soul Cycle, and get ready for the fourth installment, previewed at the end of The Secret Kings, which Brian is working on as we speak. The series starts off at, let's say, an 8-out-of-10 and then by Book II cranks things up to 11. It's fun, it's exciting, and it's got a bit of everything: Gunplay and sword-fights coexist with magic and monsters; there are spaceships, telepaths, other dimensions and strange god and demons. And there's romance! Heroism! All that good stuff. Final Verdict: Everything Star Wars should be trying to do, but isn't. Get The Secret Kings now. 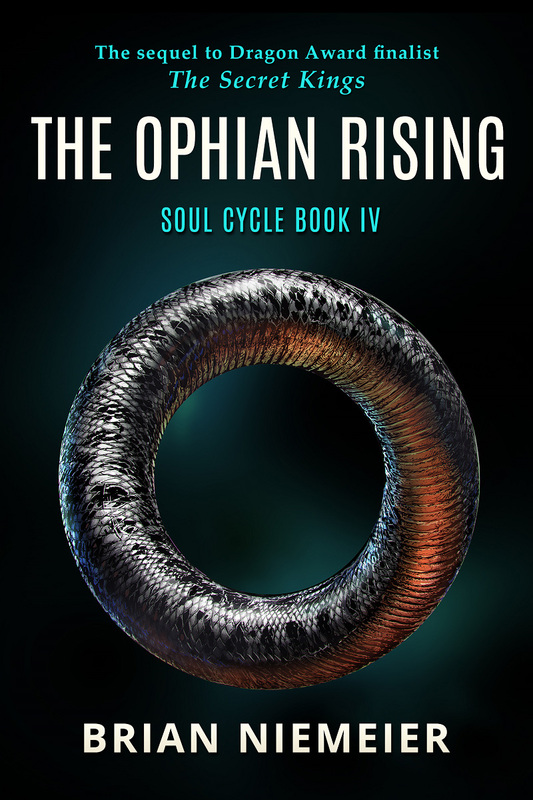 And look for Soul Cycle Book IV, The Ophian Rising later this year.